Domain names and more than 50 million $ were seized during this action, that also included the arrest by the New Zealand police of four of the Megaupload executives and other three executives being considered ” at large” like some hardened criminals. 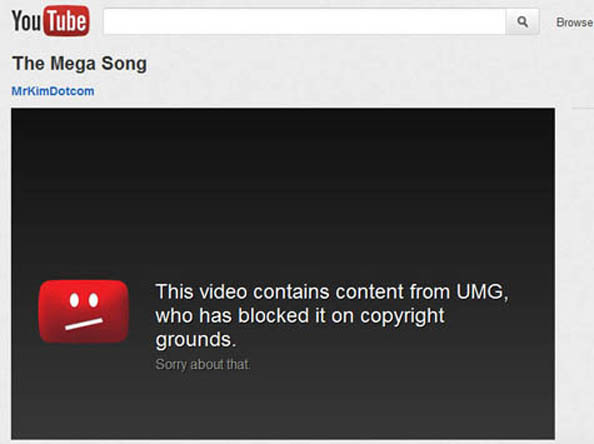 This action comes after Megaupload itself sued Universal Music Group for having the promotional video featuring Will.I.Am, Macy Gray, P Diddy and some other famous artists removed from YouTube. The take down of the website stirred the blood of internet entity called Anonymous, prompting it in going in an all out attack against the justice.gov, copyright.gov , RIAA (Recording Industry Association of America), MPAA (Motion Picture Association of America) and the UMG websites using a denial-of-service-attack. A couple of hours after the attack, a video from Anonymous was uploaded on YouTube, one that caught the Internet right in the middle. The fight for MegaUpload is still on and as we know the US government doesn’t respond to terrorist threats, and since they consider the one launched by Anonymous as a terrorist one, they won’t respond to it either. So now we only have to wait and see when and how #opGlobalBlackout will start. He is a fan of British literature, Japanese culture and an anime and manga connoisseur. If you want to get on his good side, get him a Ford Shelby Mustang GT500 for his birthday.